Audrey Hepburn. . Wallpaper and background images in the Audrey Hepburn club tagged: audrey hepburn audrey actress photos hepburn tumblr. 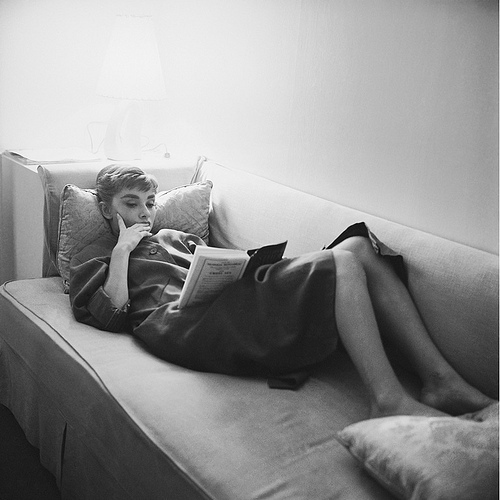 This Audrey Hepburn photo contains couch, living room, living room, sitting room, front room, parlor, parlour, and family room.